You have to try rice with saffron and green cardamom. I hope you will like this like I do. 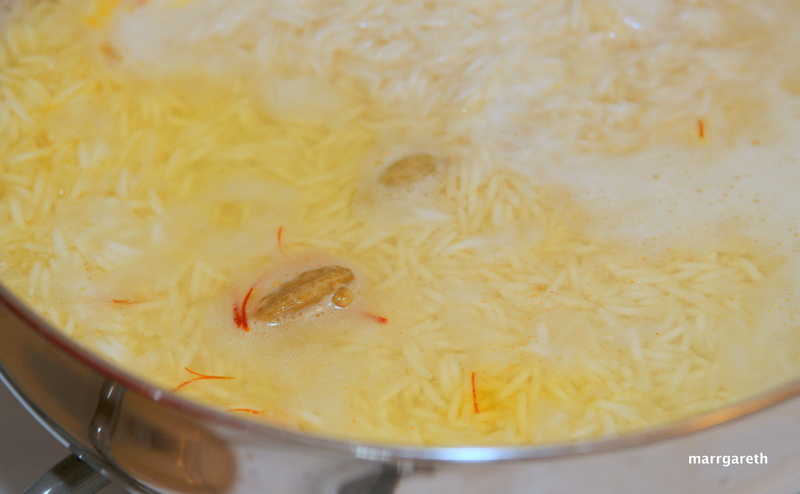 Rince the rice, then place into a small pan, add cardamom, saffron, salt and water. Cook for 15 minutes of until rice is soft. During cooking check if there is enough water in the pan. 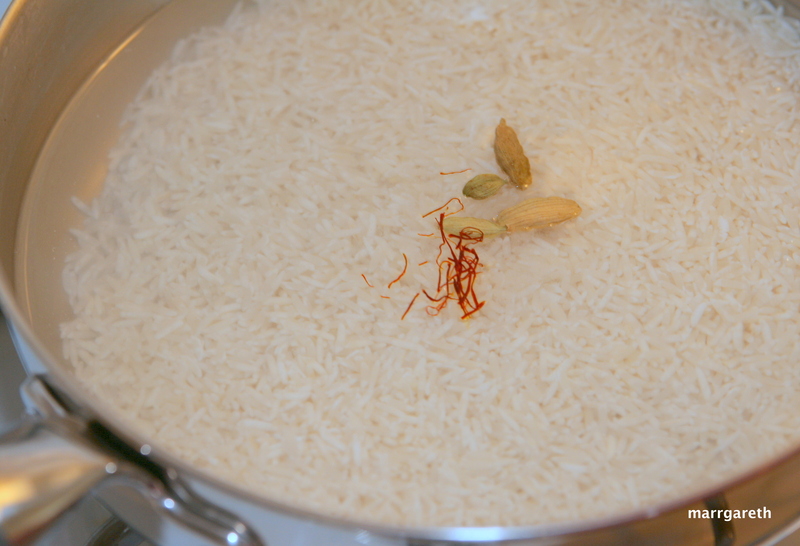 Recipe for rice with green cardamom is here. Recipe for chicken breast in coconut milk is here.